SYRIZA started off in 2008 as a basically ultra-left pastiche off groups (but with the core being the former parliamentary party Synaspismos, which was incorporated into SYRIZA) with a limited understanding of the country and its problems. In its early period, SYRIZA’s cadres defended migrants’ rights and were battling the 1% of the world population that was exploiting the toil of the other 99%. 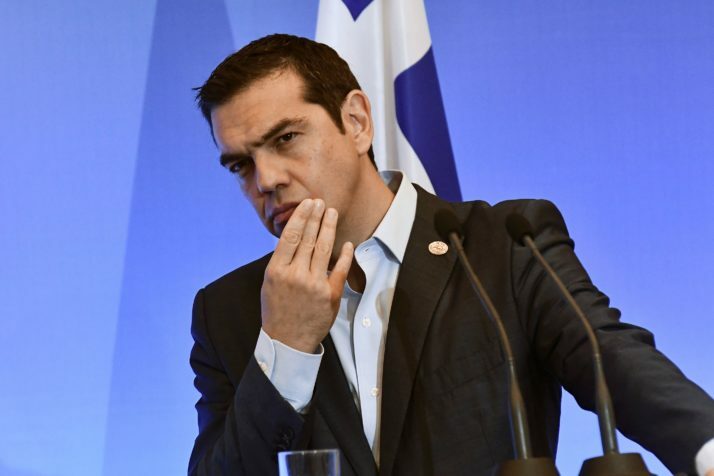 SYRIZA treated the media as a means of promotion, and Tsipras, since his teenage years, availed himself of his talent for communication and avidly sought and at times garnered media coverage, including a nationally televised interview when he participated in student sit-ins. The crisis found SYRIZA unprepared and lacking interpretive tools. At first, when there was confusion about what exactly was going on, it dabbled in unfeasible solutions and choices. Then Greece signed the first bailout memorandum and the party’s tactics included over-simplification, demands, and the rhetoric of disaster. The party gradually incorporated po-pulist movements such as the “Can’t pay, won’t pay” movement and tremendously exploited the furious and politically baseless indignados movement. It was charmed by discussions about leaving the euro and returning to the drachma and sought all manner of contact with wider groupings. Between May and June, 2012, up until the second election of that year, the party sought to win over the support of the media without a battle, and especially those of the traditional centre-left. With the results of the 2014 European Parliament elections, SYRIZA’s shot at power was reconfirmed and it attempted even more intensely to lay claim to the press. Just before the 2015 general election, the party openly threatened those who did not bend to its will. They simply could not understand the reasonable objection that if they did what they said, their actions would lead the country to disaster. Under such conditions, the upcoming general election should be a cakewalk for SYRIZA– unless Mr.Mitsotakis’ New Democracy blows it.